Ivano-Frankivsk National Medical University (Івано-Франківський національий медичний університет; Ivano-Frankivskyi natsionalnyi medychnyi universytet). 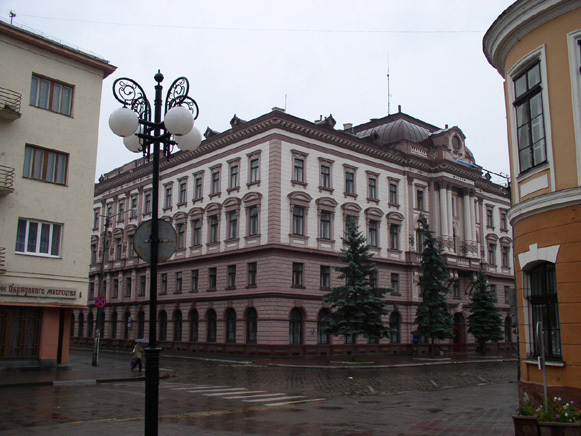 Established in in Ivano-Frankivsk (then Sanislav) in 1945 as the Stanislav State Medical Institute and renamed in 1962 to Ivano-Frankivsk Medical Institute, it became a medical academy in 1992 and was granted a national university status in 2008. The university has six faculties, including the faculties of medicine, stomatology, and pharmacology, and a graduate school.